International communication service providers are increasingly forming new international alliances to provide communications services. Some alliances are truly global in scope and represent important new developments in the organizational structure of international markets. The International Bureau has undertaken to do a review of these developments to gather information that may be relevant to future international policy decisions. This report describes the major alliances that have emerged so far in international markets. This report is the first part of a larger effort which will examine in more detail the supply and demand factors giving rise to these new organizational forms and their significance for international communications markets and regulatory policy. Most of the information presented in this report was last updated in the third quarter of 1995. The market is dynamic and changes have already occurred. Therefore the data should be considered illustrative and not exhaustive. 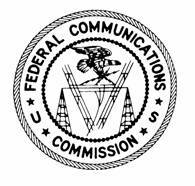 The report was prepared by Douglas Galbi, Chief Economist, International Bureau, and Chris Keating, who at the time of preparation of the report was an intern in the Competition Division of the FCC's Office of General Counsel. Significant assistance was also provided by Jerry Duvall of the Competition Division. The opinions and conclusions expressed in this paper are those of the authors and do not necessarily reflect the views of the Federal Communications Commission or any of its Commissioners. The authors appreciate the helpful comments and suggestions of colleagues at the Commission and input from the private sector, but any errors or omissions in this paper are the responsibility of the authors alone. A copy of this report will be made available in the International Bureau Reference Room. Additional copies of this report may be obtained from International Transcription Services, Inc., 1919 M Street, N.W., Room 246, Washington, D.C. 20554 (202) 857-3800. The institutional structure of international communications is swiftly changing. Over the past several years, the ownership, national identities and market focus of the industry have begun to change dramatically. These changes may have significant implications for how carriers will operate in international markets in the future and will create new regulatory issues. At least three major, and interrelated, trends are apparent. The first is a trend toward liberalization and the introduction of facilities-based competition. This trend is accelerating a shift from single national champion carriers, whether government- or privately-owned, to multiple carriers and more diverse markets. These developments are contributing to a breakdown of traditional bilateral correspondent relationships between single carriers each with distinct national identities. The second trend is toward increased private ownership of telecommunications carriers. This is manifested most notably in the privatization of national carriers, but is present generally throughout the sector. It is spurred by the growing recognition that huge investment requirements for expansion of telecommunications infrastructure will be met only through access to private sector capital. The trend toward private ownership in fact has created incentives and opportunities for the third trend, which is the increased equity participation by carriers from one country in the domestic and international markets of another country, often through multinational consortia. An emerging phenomenon which reflects all three of these trends is the increasing participation among major international carriers in global alliances. Such alliances, which may be based on either equity or non-equity relations, are truly global when they are aimed at the provision of global products (i.e., seamless provisioning of worldwide services) through single points of contact with global reach (i.e., multinational carrier groups) to global markets (i.e., international requirements of multinational customers). Most global alliances are still new and not fully developed, either in terms of corporate form or market strategy. Revenues from current target markets, which include the global provision of enhanced services to multinational corporations, are small relative to traditional international voice traffic revenue. Nonetheless, such alliances are of future significance because they represent individual national carriers learning how to work together in non-traditional ways and on a much greater geographic scale. The recent emergence of such alliances indicates that traditional correspondent relations ultimately may be replaced, in some measure, by different institutional structures for serving global product markets. Such structures may be characterized by new routines of global cooperation, coordination, and integration implemented through partnerships, joint ventures, and other corporate forms. The International Bureau is undertaking this review of global alliances to better understand the ways in which global markets are evolving and the significance for our competition policies of various forms of combinations. The global alliances report is intended to be a several part undertaking. In this part we have sought to identify some of the notable forms and characteristics of these emerging organizations. Specifically, we examine two tiers of the global alliances. Section I reviews the first tier: the structure and form of the alliances themselves. We have focused on the most prominent global alliances, specifically, the MCI/British Telecom Concert venture, the Sprint/France Telecom/Deutsche Telekom Global One venture (formerly Phoenix), AT&T's WorldPartners, Uniworld, and the Cable & Wireless Federation. Section II examines major organizational features of the second tier: the other international joint ventures and partnerships in which the primary members of the five global alliances participate. Specific information on ownership interests is presented in the Appendix to this Report. As part of a larger effort, we intend next to look more closely at some of the specific supply and demand factors giving rise to these alliances. In particular, on the demand side, we will endeavor to gather information on patterns of demand for international services generally and will look closely at the types of international services, and associated revenues, increasingly demanded by multinational companies and other large international services customers. We are interested in assessing the relative importance of carriers' global products within the market for international services of all different forms. On the supply side, we intend to look at changing characteristics of international service offerings and changing structures of service provisioning arrangements as well as cost trends such as the economies of providing various services on a global scale. With respect to these issues, we are interested in assessing the extent to which global alliances may be a response to technical demands, such as interoperability, as well as to the need to capture economies of provisioning as opposed to efforts to consolidate market positions. We intend to look at the ways in which these supply and demand factors may actually affect the performance of carriers in the provision of international services. Specifically, we will be interested in assessing whether alliances tend to facilitate or inhibit price competition and service innovation, and whether such effects will be most notable in basic services or in more complex value-added offerings. Throughout this effort, we will welcome informal submissions or other input from the industry and the general public. The International Bureau staff will be available to discuss this project with industry representatives and the general public. We anticipate issuing another report in the next several months. We have selected these ventures because they are the predominate examples of global alliances. Other ventures targeting the market for seamless global services for multinational corporations are not considered in this report. For example, Infonet, which is jointly owned by a number of the world's leading telecom operators, manages a network accessible in more than 165 countries. However, the Infonet network specializes in global value-added services such as electronic messaging, but does not include basic services. As another example, Telefónica de Espana is attempting to integrate its various holdings in Argentina, Chile, Peru, Venezuela, Colombia, Puerto Rico, and Spain to provide a Pan America Network that will stretch all the way to Europe. However, that network is essentially regional rather than global. In August 1995 IBM and STET, a parastatal Italian holding company that owns Telecom Italia, announced a preliminary agreement to form a joint venture for global communications services. That proposed venture, however, is still in the very early formative stages. With respect to the five alliances covered in this report, additional relationships and ventures have arisen since the data for this Report were collected. For example, France Telecom has announced that it is taking a 49% stake in Infostrada, an Italian business communications venture that Olivetti, a large Italian computer company, established. France Telecom intends to split ownership and management of its stake in Infostrada with the other members of Global One. Each of the five major alliances studied appears to be targeting essentially the same market of global seamless services for the 1,000 largest multinational corporations. Revenue in this market is currently estimated at several billion dollars and some project it to grow to about $25 billion by the year 2000. In comparison, the overall size of the European market for telecommunications services in 1992 was $120 billion, most of which consists of local and domestic long distance voice services. The overall size of international telecommunications markets was about $55-60 billion in 1994, and at current growth rates will reach $103 billion in the year 2000. Most of the revenue in international communication is derived from voice traffic, and this is not likely to change in the near or medium term. In October of 1994, BT and MCI finalized a $4.3 billion deal in which BT acquired 20% of the equity in MCI. The deal included plans for establishment of the joint venture Concert. Concert is a separate business entity in which BT has a 75% equity stake and MCI a 25% equity stake. The Commission granted approval stating that, subject to compliance with certain conditions and competitive safeguards, the acquisition by BT of an equity interest in MCI and the corresponding joint venture were in the public interest under Sections 214 and 310 of the Communications Act of 1934, as amended. Concert's stated mission is to develop a portfolio of enhanced telecommunication services targeted at multinational corporations. Concert's portfolio of services includes: global virtual network services (private voice, switched data, and conferencing), global managed data services (low and high speed packet switching and frame relay as well as pre-provisioned, managed and flexible bandwidth services), global application services (messaging, electronic data interchange, e-mail, and videoconferencing), and customer management services (network management outsourcing). Concert's goal is to provide multinational customers with seamless global telecommunications service and a single point of contact responsible for network maintenance and customer service. The venture itself, however, neither markets nor sells its product line to end users. MCI has the exclusive right to market and sell the Concert portfolio in the Americas and the Caribbean, while BT has this right elsewhere around the globe. BT and MCI are free to set their own prices for Concert products and services. In addition, BT and MCI each have entered into independent alliances and joint ventures to maximize Concert's global reach. Partners in these individual agreements have no say in the development of the Concert product and act only as distributors. According to Concert, by August 1995 Concert products encompassed approximately $700 million contracts with 2,000 customers in 40 countries and 800 cities. Concert's line of private virtual network services is operational in at least 8 countries. MCI received a subsequent FCC ruling allowing it to increase foreign ownership of its stock from 28% to 35%. MCI stated that its stock is widely held and that the anticipated increase in foreign ownership will result from passive foreign investment. BT's acquisition agreement includes a provision that BT's 20% equity stake in MCI will not increase over the ten year period 1994-2004. On June 22, 1994, Sprint, France Telecom (FT) and Deutsche Telekom (DT) announced an agreement allowing FT and DT each to purchase a 10% equity stake in Sprint (valued at approximately $4.2 billion). The deal included plans to form a joint venture, preliminarily named "Phoenix, " that encompassed a FT/DT European venture for global networking called Atlas. Sprint, FT, and DT intend the venture (now renamed "Global One") to be "the principal embodiment and global reference point of the International Telecommunications Services Business of the Parties." At the head of the Global One venture is a Global Venture Board, on which Sprint, FT, and DT each have one seat. The business activities of the venture are initially to be in three areas: 1) global data, voice, and video services for multinational corporations, 2) international card-based services for travellers, and 3) international transport services for other carriers. The parties' long-term objective is to provide any services that the Global Venture Board decides are appropriate. Sprint received the exclusive right to distribute Global One services in the United States, while DT and FT have exclusive rights to distribute Global One services in Germany and France, respectively. Service throughout the rest of Europe (which is defined to include Ukraine and the transition economies of Central Europe) will be distributed exclusively through a European operating group under Global One. Sprint, FT, and DT have equal ownership stakes in the European operating group. A rest-of-world operating group will exclusively distribute Global One services elsewhere. Sprint has a 50% stake in the Global One rest-of-world operating group, while FT and DT hold the remaining 50% stake via their joint venture Atlas. Overall, the venture will have a staff of over 2,000, and a presence in over 50 countries including 1,200 locations, 23 customer service centers, and 6 network management centers. Regulatory approvals for Global One have been granted, subject to conditions. On July 13, 1995 Sprint and the U.S. Department of Justice entered a consent decree that granted Justice Department approval for the Global One alliance. The European Commission recently issued approval for both the Atlas and Global One joint ventures. On December 15, 1995, the Federal Communications Commission found that the proposed investment of DT and FT in Sprint is on balance consistent with the public interest. The Commission applied the newly formulated standard of the foreign carrier entry ruling and found that while effective competitive opportunities do not currently exist in Germany and France, other factors, including clear commitments to establish full competition by January 1, 1998, weigh in favor of the deal. The Commission imposed competitive safeguards similar to those imposed on the BT/MCI alliance, as well as some further conditions. WorldPartners is an alliance of major telecommunications providers that also targets the market for seamless global services for multinational corporations. In its comments in response to the Commission's Notice of Proposed Rulemaking on Foreign Carrier Entry, AT&T presented WorldPartners as a non-exclusive co-marketing alliance in which members are free to form other alliances outside of WorldPartners. WorldPartners has been described as including equity and non-equity members. Equity members are AT&T, Singapore Telecom, KDD (Japan), and Uniworld. Equity members currently have exclusive rights to distribute WorldPartners' products in their home countries. Non-equity members include Telstra OTC (Australia), Korea Telecom, Telecom New Zealand, Hong Kong Telecom, and Unitel (Canada). Members do not hold equity in one another, and the alliance has not been submitted for U.S. or European regulatory approval. Along with Concert, WorldPartners was awarded a development contract from the European Virtual Private Networks User Group. The structure of the WorldPartners alliance suggests that the products resulting from investments of WorldPartners' equity members become common property of the alliance members. It appears that the return from WorldPartners' investments accrues directly to the individual partners in proportion to their own success in creating value from the WorldPartners products. In contrast, the Concert and Global One alliances are each structured so that the venture itself produces a revenue stream from specific products. The partners share those revenues in proportion to their equity investment. In July 1995, AT&T and the European-based consortium Unisource finalized the terms of another joint venture. Unisource, the group of European partners in Uniworld, is comprised of Sweden's largest carrier Telia, Switzerland's monopoly carrier Swiss Telecom PTT, the Netherlands' monopoly provider KPN, and Spain's monopoly provider Telefónica. AT&T holds 40% and Unisource holds 60% of the new venture called Uniworld. Uniworld in turn holds a 20% stake in WorldPartners and has the exclusive right to distribute WorldPartners products in Europe. Uniworld will target European-based multinationals wanting seamless telecommunications services. The European Commission has recently launched an investigation of Uniworld to determine whether it meets European Union competition rules. Originally scheduled to begin operations in July of 1995, the venture is now projected to begin operations in early 1996. Uniworld plans to have 2,000 employees in 17 locations when operations begin. Cable and Wireless plc. maintains a world presence via individual business units in its own quasi-alliance, the Federation. Cable and Wireless was originally formed to provide telecommunications services to all of Britain's former colonies. Today these former colonies encompass the majority of the Federation's business units. These business units vary greatly with respect to size, structure, and culture, thus complicating the provision of global seamless service. Cable and Wireless owns 58% of Hong Kong Telecom, the dominant carrier in Hong Kong and a crucial gateway to fast growing Chinese markets. Cable and Wireless' future plans with respect to the Federation are presently uncertain as the company has recently experienced dramatic internal management conflicts and changes. There are countless international ventures and partnerships being formed among telecommunications operators irrespective of participating in global alliances. An understanding of these developments is equally important to having a complete view of how international markets are changing. Comprehensive identification of all of these developments is beyond the scope of this report. However, an examination of the second tier of global alliances -- namely the joint venture and partnership relationships entered into by alliance participants -- provides an interesting view of how some of these other transnational (as opposed to truly global) institutional arrangements are evolving. This section considers some key features of overall trends in international ventures, based on an analysis of the second tier. The existing major alliances cover the main centers of international communications. From the perspective of aggregate demand, the global communications market is relatively concentrated geographically. As Table 1 shows, 78% of the top 1,000 multinational corporations are headquartered in just five countries, and these countries also account for 51% of international voice traffic. Through their new ventures in the rest of the world, telecommunications carriers in Western Europe and North America are already gaining considerable experience in working with new partners and setting up new networks. Table 2 shows the distribution of international joint venture partners and venture locations across the world. It demonstrates that there are still differences between the geographical distribution of the home countries of participants in joint ventures and the geographical distribution of the location of operations. Specifically, a relatively large number of the partnerships and joint ventures underlying the major global alliances are based in Europe and North America (46%), while a relatively large number of operational locations are in Central/Eastern Europe and Central/South America (58%). The Asia/Pacific and African regions are relatively balanced in venture partners and operations. U.S. international carriers have been much more aggressive than other carriers in setting up foreign ventures for international services. Table 3 summarizes the global presence of major international carriers. In particular, Table 3 shows the percentage of Top 1,000 multinational headquarters and percentage of worldwide international traffic represented by the countries in which the carrier or alliance has a joint venture or an equity stake. With respect to these coverage statistics, there is a very large gap between the top four individual carriers -- AT&T, BT, Sprint, and MCI -- and the remaining carriers. Such figures can, and probably will, change quickly as foreign carriers become more aggressive in seeking foreign ventures. While about two-thirds of the partners of the major international carriers are other telecom carriers, Table 4 shows that a significant number of partners are other types of institutions, most notably banks. For example, BT has aligned with Banco Central Hispano to provide services in Spain through a joint venture called AirTel. Banco Central Hispano is the largest bank in Spain with a total of 3,454 domestic and international branches. Banco Central Hispano's network could form the basis for a facilities-based competitor to Telefónica, the Spanish monopoly carrier. Moreover, Banco Central Hispano's customer base and experience with on-line banking could be a valuable entry point into a mass market for enhanced telecommunication services. Another example of a partnership with a bank is Avantel, MCI's joint venture with Banamex, which is one of the largest banks in Mexico. Overall, weighted by multinational headquarters or international traffic in their home market, banks account for about one fifth of telecom venture partners. The provision of international telecommunications services traditionally has been characterized by bilateral correspondent relations. It is clear that global market developments and the emerging complex underlying web of global partnerships are beginning to challenge this arrangement. Major international carriers are positioning themselves to offer seamless end-to-end services to multinational customers. While the current market for such services is small, and still focused on value- added products, it is growing. Global services may eventually attract a significant share of international voice traffic. Analyzing how this might evolve, and how our procompetitive regulatory policies might be affected, will be the focus of a subsequent report. The key concepts and trends in the emergence of global alliances identified in this report will serve as an important baseline for our future efforts. One important early observation is that tracking and analyzing the web of relationships among major international carriers is extremely difficult. For some of the major international alliances, such as WorldPartners, there is very little public information about the nature of the organization and the agreements among the participants. Also, relationships are constantly changing, particularly at the second and third tier levels of partnerships underlying the major alliances. Moreover, international ventures are established in a wide variety of forms, some of which are very innovative. Finding ways to maintain adequate information on these market developments, without imposing excessive burdens on the regulatory process or on international carriers, will be a major challenge for the FCC and other national regulators in the future. The data presented in the Appendix were last updated in the third quarter of 1995. Significant changes may have already occurred. Wall Street Journal, Nov. 16, 1995. These figures represent a composite of various estimates. The estimates are subject to considerable uncertainty, but generally point to a relatively small market for seamless global services. U.S. Congress, Office of Technology Assessment, U.S. Telecommunications Services in European Markets, OTA-TCT-548 (Washington, DC: U.S. Government Printing Office, August, 1993), pp. 54-5. See Gregory Staple, "International Telecommunications" in TeleGeography 1994, p. 12, p. 34. Declaratory Ruling and Order, 9 FCC Rcd. 3960 (1994). As part of the Commission's approval, MCI's international service authorizations were subject to a number of conditions intended to limit BT's ability to leverage its market power in the UK to the disadvantage of competing U.S. international carriers. One of the key conditions was a requirement that MCI accept "no special concessions," directly or indirectly, from any foreign carrier or administration with respect to traffic or international settlement revenue flows between the United States and any foreign country served. See also United States District Court for the District of Columbia, Final Judgment in U.S.A. v. MCI Corp. and BT Forty-Eight Co., Case No. 1:94CV01317 (D.D.C. filed June 15, 1994). See In the Matter of MCI Communications Corporation, Petition for Declaratory Ruling (Aug. 4, 1995) ISP-95-008. Joint Venture Agreement, dated June 22, 1995, p. 31. The Phoenix venture has just recently been finalized with the new name. See Telecommunications Reports, Feb. 5, 1996, p.32. U.S. v Sprint Corporation and Joint Venture Company, Civil Action No. 95-1304 (D.D.C. filed July 13, 1995). Official Journal of the European Communities, Case No. IV/35.337 - Atlas, and Case No. IV/35.617 - Phoenix, Dec. 15, 1995. See In the Matter of Sprint Corporation, Declaratory Ruling and Order, FCC 95-498 (Jan. 11, 1995). See Market Entry and Regulation of Foreign-affiliated Entities, Report and Order, FCC 95-475 (Nov. 28, 1995). The charter documents for WorldPartners are not on file with the Commission and the exact structure of WorldPartners is not known. In the Matter of Market Entry and Regulation of Foreign-affiliated Entities, IB Docket No. 95-22, released February 17, 1995. Financial Times, April 11, 1994. The European Commission recently decided to drop its investigation of Telefónica's position in Unisource, The Financial Times, Nov. 9, 1995. Broadband Networking News, Oct. 31, 1995. Financial Times, Nov. 22, 1995. Lord Young, the C&W Chairman, and James Ross, the CEO, have both left C&W because of conflicts concerning business strategies. The share of multinational corporations is the share of the Fortune 1000 companies that are headquartered in the given country. The Fortune 1000 consists of the Fortune's Global 500, the 500 largest industrial companies, and Fortune's Global Service 500, a selection of the largest global companies in eight different service categories. The share of international voice traffic is based on the ITU's 1994 World Telecommunications Indicators country-by-country statistics of outgoing international telephone traffic for 1992, calculated as the percentage of the country's outgoing international traffic out of total world outgoing international traffic. This distinction becomes blurred as operators and investors increasingly participate in overlapping ventures that involve both partners and operations in several countries and regions. This table shows the different geographic distributions of international venture participants and international ventures operations. Each participant in a joint venture or partnership listed in the Main Table has been associated with a home country that represents the primary base of operations of that participant. The operations of a particular venture or partnership also have been associated with a country that represents the primary location of operations of the organization. Column 1 shows the percentage of participants that have home countries located in the given region. Column 2 shows the percentage of joint venture or partnership operations that are located in a particular region. This table provides indicators of the geographic coverage of the operating locations of partnerships and joint ventures listed in the Main Table. The multinational corporation indicator is the percentage of multinational corporations headquartered in countries in which the given company has a venture operating presence, i.e., is involved in a joint venture or partnership that is providing service in the given country. The international traffic coverage indicator is the percentage of outgoing international traffic generated by countries in which the given company has a venture operating presence. A company's home market is included in the calculation of covered countries. Sources are as in Table 1. Each participant in an international joint venture or partnership listed in the Main Table was associated with an industry classification. The unweighted share column gives the share of participants that came under different industrial classifications. A weakness of this statistic is that it does not take into account differences in the economic significance of participants. In particular, a bank in a large country with a lot of international traffic receives the same weight in the industrial distribution as a telecom provider in a small country with negligible international traffic. Columns two and three adjust the industrial distribution for economic significance by weighting participants according to the characteristics of their home markets. Column two weighs participants by the number of multinational corporations headquartered in their home markets. Column three weighs participants by the share of international outgoing traffic from their home markets. Data sources are as given in the notes to Table 1. The FCC has recently concluded that non-equity business alliances warrant increased regulatory scrutiny. See Market Entry and Regulation of Foreign-affiliated Entities, op. cit., ¶¶ 95.